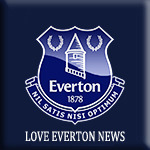 Manasse Mampala declared his determination to “keep scoring and assisting goals” as he revealed how the “positive vibes” at Everton have helped his talent to flourish. The 17-year-old has been rewarded with his first professional contract after an impressive 2017/18 season with the Blues’ Under-18s. The forward hit 11 goals and chipped in with six assists in 18 appearances in the U18 Premier League. The DR Congo-born teenager’s displays saw him force his way into the reckoning for the Under-23s in the latter stages of the campaign as he made two appearances for David Unsworth’s side. Mampala is now eager to keep progressing and rack up more appearances at Under-23 level. “It feels great to sign the contract and I’m just delighted the hard work I’ve put in has paid off,” he told evertonfc.com. “Everyone gets on really well, it’s a great atmosphere and it helps you develop as a player. Mampala, who will celebrate his 18th birthday next week, counts Ronaldo, Ronaldinho, along with fellow countryman and Everton winger Yannick Bolasie among his role models. A pacey, direct forward with an eye for goal, Mampala insists his game has developed significantly since arriving at Everton. He was eager to emphasise the role of the Blues coaching staff in honing his attributes. “Paul Tait [Under-18s boss] has been great for me,” insists Mampala, who moved to England aged two from Kinshasa, DR Congo. “He was a very big help with my technique and in a tactical sense. “His training has helped me get more comfortable on the ball and I think it showed because I got plenty of goals and assists last season. “And Franny, too, with the Under-23s. He was a top striker back in his day and having him help me out with my movement and different styles of finishing, it’s really good. “All the coaches here add something different, though. I feel like I’ve got a lot better as a player. “I like getting on the ball, taking players on and scoring goals and assisting them. Hopefully I can do more of that next season."